Mix and Chic: The One Room Challenge- Week 3! In a blink of an eye, it's the third week of The One Room Challenge already. If you missed the first or second installments of this series, click here and here. I am happy to report that our hardwood floor installation is now about 95% complete. Spending the entire day at home during the 4th of July installing the wood floors definitely paid off! Look! Only four more rows left before completion! Hubby said that it won't be easy when it comes to installing the last four rows of the wood floors because there won't be enough space to use the mallet. Look at those peeling walls at the bottom. Needs to buy new baseboards, paint them and then reattach them. Unsightly scuff marks everywhere. Needs paint touch-up. Almost reach the finishing line! Need to patch those damaged walls! In case you are wondering about our room's previous paint color, here is a peek. Are you a fan of the bright pink? The previous paint color wasn't working for us at all so it had to go! Last week, I have received both my gray curtains and white bed canopy curtains that I ordered online. With two things off my mind and the hard wood floor almost finished, I am starting to think about accessories. These are what I had in mind. I find them very gorgeous and beautifully made yet I am not sure if I will be getting any of the above items for accents. You know why? It's the budget thing again and they always get in the way! What are your thoughts? Do you think I should get any of these items for nautical accents? Or should I skipped them altogether? Which one is your favorite? I would love to hear your thoughts! 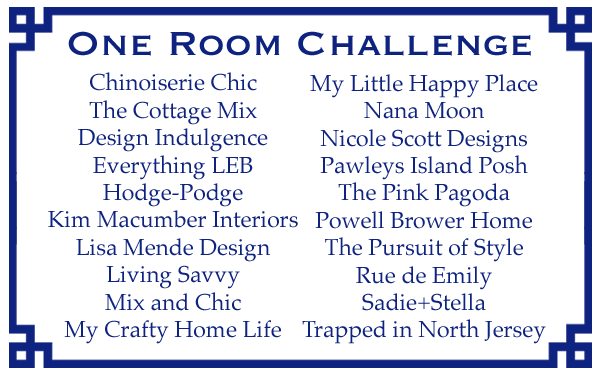 Check out the following 20 participants from The One Room Challenge. I hope you will be following me and the rest of these talented ladies as we makeover our rooms! The floors look fantastic. Let your husband know that all of his efforts have paid off big. If you buy taller baseboards, you won't have to patch the walls. 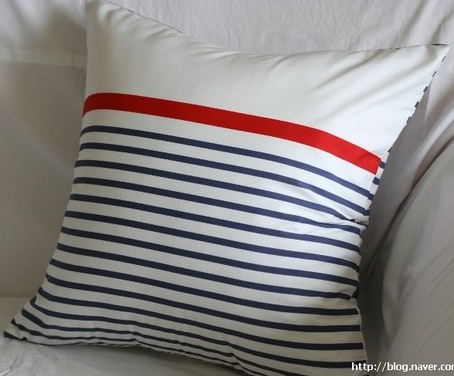 I love a nautical room, and think any one of those accessories would look great. Jessie ....the floors look absolutely gorgeous! Now, I can't wait to see how all those wonderful nautical accessories in the space. Your husband is quite a keeper. Is the paint color blue or gray? Or blueish gray? I love the accents, but if you don't do them, your room will be gorgeous anyway. Aren't budgets annoying? The floor looks great and I love the nautical idea. OK...so the floors are almost done...I love all of the accessories that you have picked out! And another thing...I also hate budgets! The floor is a huge accomplishment and how wonderful to do it yourself ... and survive!! I love the nautical ... but if you can't do them all, just pick the one that will give you the biggest bang and enjoy it!! Wow, those floors look great. I love your accessories, especially that pillow! Can't wait to see your finished space. The floors look excellent! I love that whale pillow you found at west elm. Also love the idea of the nautical theme. 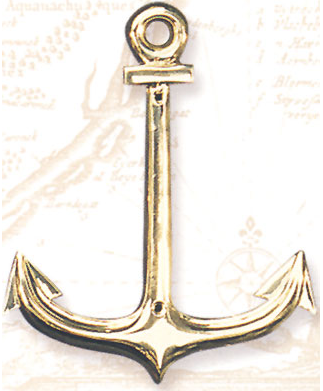 I'm a sucker for anchors, so I'd say get that as an accessory! 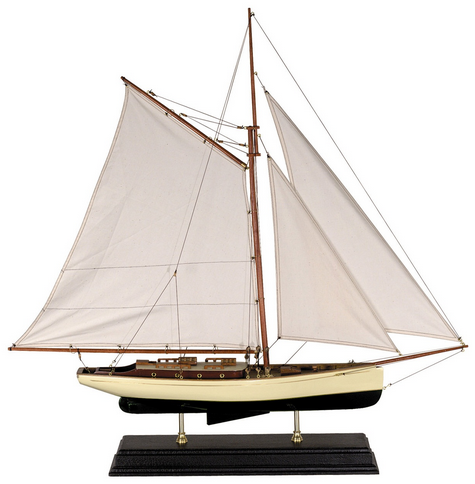 Also, the sailboat would give you a big visual bonus if it's within your budget (meaning it will stand tall and create depth in the room). Love the direction this is going! good job! Love that anchor. And the floor looks amazing! Great work! I love that you are doing a nautical look! That mirror is my favorite- it's fantastic! I haven't seen it before. The floors look beautiful; it must feel good to have those almost done. wow, that was some bright paint that was in there when you first moved in! I don't blame you for covering that up! haha. Your room plan sounds so pretty; I'm so excited to keep watching it unfold! Thanks a bunch for stopping by my blog. Really appreciate it. Delighted to find you....and at just the right time. So glad you are part of ORC....I'm a big fan of many of those designers / bloggers. Can't wait to see more of your room progress. Wow, that is a lot of work! Great job! Those floors are gorgeous. I love the porthole mirror. You have to get that. The floors look great! I'm with Tiffany, I'd go for the porhole mirror. Like the pillow too. Good job on the floors ... I love what you chose! Can't wait to see what you end up picking for the accessories! Looking great! 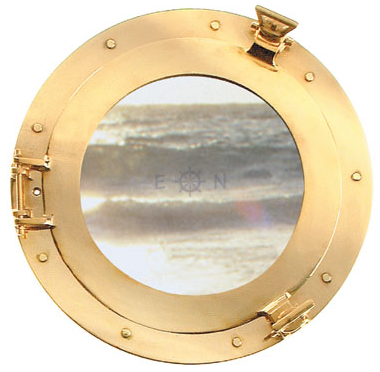 That porthole mirror sounds fabulous! I love the direction this is going! Sponsor highlight: Fashion For Home! Cool designer alert- Marisa Lafiosca! Cool designer alert- Tineke Triggs! Home tour- A beautiful East Hampton home! Home tour- A rustic chic California home! Cool designer alert- Lee Ann Thornton! Home tour- A stylish and updated Virginia barn! A client's master bedroom project! Cool designer alert- Emily Summers! Home tour- A chic and girly Toronto condo!